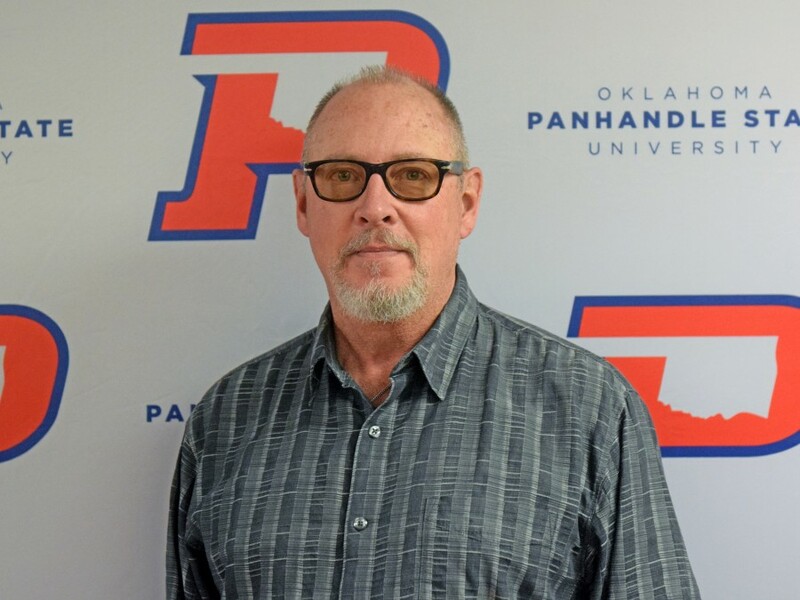 Goodwell, Okla. — Born in Marshall, Texas and raised in Houston, Michael Bozeman comes to Panhandle State after working 30 years with the Houston Police Department and completing a number of special assignments along the way. Currently serving as the Assistant Professor and Director of Criminal Justice, Bozeman not only teaches criminal justice courses, but he also manages the program’s adjunct faculty as well as course scheduling and budgeting. Following a summer of training from a police academy, Bozeman began his Criminal Justice career as a sophomore in college at Sam Houston State University. He worked the nightshift for the police department in Huntsville, Texas and took classes during the day. Immediately following graduation with a bachelor’s degree in Criminal Justice, Bozeman accepted an offer from the Houston Police Department where he worked for four years before receiving a full academic scholarship to work on his master’s degree. He continued to work during the day and attended classes at night obtaining a master’s in Criminal Justice Management. During his 30 years at the Houston Police Department, Bozeman worked patrol, undercover narcotics and vice, served as the Assistant to Chief of Police, worked criminal intelligence division on deep cover assignments. Additionally, he was attached to the FBI for five years on La Cosa Nostra. Bozeman was also attached to the U.S. Secret Service and protected President George H. Bush during his presidency. Around seven years of his career were spent in the homicide division in Houston. While investigating a mass murder in 2003, Bozeman was in a gun battle that resulted in a life-threatening gun shot. Six months and 27 surgeries later, he was put back together and worked another year and half before he was offered a medical retirement. It was at this time that Bozeman went back to Sam Houston State for yet another degree, earning a doctorate in Criminal Justice Administration. After earning his doctorate, Bozeman received an invitation to work on a special project at New Scotland Yard in London where he was introduced to British Intelligence Agencies before accepting a position as an instructor at Colorado Mesa University followed by teaching positions at the University of Texas and Embry’Riddle Aeronautical University. Bozeman was then recruited to the Middle East where he trained United State and Allied Forces in intelligence and then was trained in Israeli Antiterrorism in Israel before he arrived in Goodwell. Career highlights include training at the Israeli Academy and some of the high profile homicide cases he has investigated. On a personal note, Bozeman has one daughter that teaches school in Colorado. He is an adventurer and world traveler who enjoys yachting and writing. Currently, he is working on his second book with the first “The Common Language of Homicide and Suicide” published in 2014.